Sleep apnea, while rarely a fatal condition, can still prove to be debilitating. Thankfully, there are several treatment options available today. Even though the complete elimination of sleep apnea may not ever occur, these methods can all effectively minimize symptoms to a point at which they are much more manageable. 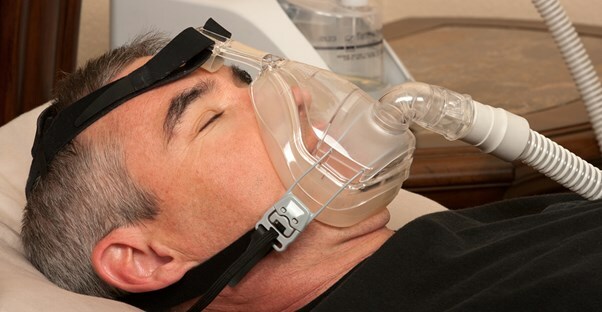 A continuous positive airway pressure (CPAP) machine is the most common treatment used for sleep apnea. This device uses a mask that’s worn to bed and keeps a constant stream of air going, which ensures that airways stay open and breathing does not stop. There are some mild side effects associated with CPAP machines—such as sinus congestion, headaches, and dry mouth—but these are minimal as long the wearer’s mask is properly adjusted and you invest in a CPAP cleaner. The positive effects from this machine are normally experienced after only a night or two of use. Because obesity is a leading cause of sleep apnea, weight loss is a lifestyle change that can have a positive impact on sufferers. While people will ideally be aiming for a weight that falls within the healthy BMI range for their height, even modest amounts of weight loss will begin to improve sleep apnea symptoms. In addition, quitting smoking and not drinking excessively or right before bed can also help, since these are activities that relax the throat muscles—which is the mechanism by which sleep apnea occurs. In extreme cases, surgery may be necessary to treat sleep apnea. However, this should only be seen as a last-ditch attempt to fix the condition. There are several surgical options available, depending on the patient’s unique physiology and medical history. Some procedures involve the stiffening of the tissue in the back of the throat, which prevents it from relaxing as easily. In other procedures, surgeons will actually remove some of this tissue in an attempt to widen the airways. Finally, the removal of the tonsils can help to keep breathing passages unobstructed—especially for children with sleep apnea.